Home / See & do / Top Sights / Top 10 / Mons with the family / Where’s the fun at? / Entertainment / Having fun at Bowling des Bassins! Are you the type to score strikes or do you just drop the ball in the gully? 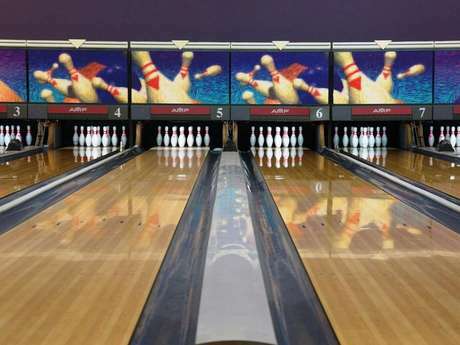 Come and test yourself at “Bowling des Bassins” to find out! Located close to Mons city centre, have fun with your family or why not celebrate your child’s birthday! Who won the game, parents or children? Who cares? It’s time for revenge! To have fun a bit longer, come and challenge yourself to a game of pool or bingo after your bowling match. Celebrate your child’s birthday at bowling – it’ll make a great gift! 1 invitation card per guest. Make this day special so your child will never forget it! Bowling des Bassins is a place where you have great fun!